As E3 continues, many exciting announcements and revelations have been made. Bethesda turned many heads last night, with their reveal of multiple new games, including a Skyrim remaster. 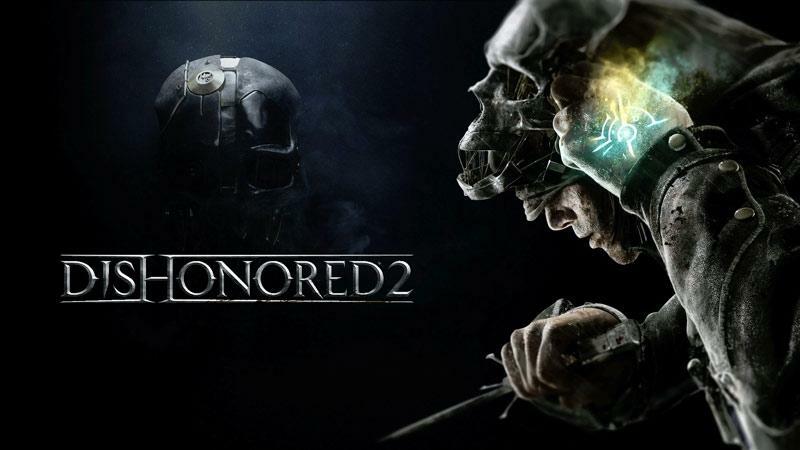 Continuing the hype train, Bethesda have released the details on the Collector’s Edition of their upcoming supernatural stealth game, Dishonored 2. Pre-orders are open for the $99 edition of the game, with copies shipping out on November 11th. In addition to all of this, Bethesda has released a new gameplay trailer for Dishonored 2, which you can check out below. Like most special editions of games, the Dishonored 2 Collector’s Edition will come with both physical and digital content. On the physical side of things, players will receive a replica of Corvo’s haunting mechanical mask from the first Dishonored game. The dimensions for the mask are 13.5" (H) x 6" (W) x 5.5" (D), and it will come with a special stand for you to store your mask when you're not out slitting guards throats in the middle of the night. In addition to this, Collector’s Edition purchasers will receive a replica of the ring Emily Kaldwin wears. It was specially crafted and constructed out of a zinc alloy to perfectly match the in-game one to every last detail. The ring will have a black box with a purple velvet lining to store it for safe keeping. Collector’s Edition purchasers will also receive a replica Propaganda Poster Print which was issued by the Propaganda Office of Karnaca. In addition to this there will be a Collectible Legacy Metal Case that will be exclusive to the Collector’s Edition only. It will contain the portraits of the Empress, Emily Kaldwin, and her Royal Protector Corvo Attano. As for the digital content, purchasers will receive the Digital Imperial Assassin's Pack, which will contain the exclusive Duelist's Luck and Void Favor bone charms. The pack also comes with 500 coins to spend in-game, along with 2 in-game items, an Antique Serkonan Guitar and the book Goodbye, Karnaca — A Musician's Farewell. The Dishonored 2 Collector’s Edition will also come with the Dishonored: Definitive Edition. This will be a digital copy you can redeem on the current generation console of your choice. Remastered for the Xbox One and PlayStation 4, you can experience the events of the first game in the Dishonored series for the first time, or all over again. The Dishonored: Definitive Edition will also come with all of the DLC from the first game, which includes the Void Walker's Arsenal, Dunwall City Trials, The Knife of Dunwall, and The Brigmore Witches. Dishonored 2 will arrive on PlayStation 4, Xbox One, and PC on November 11th 2016. Kankuro, DGK SNOOPEY, Zelkaar and 1 other person like this.